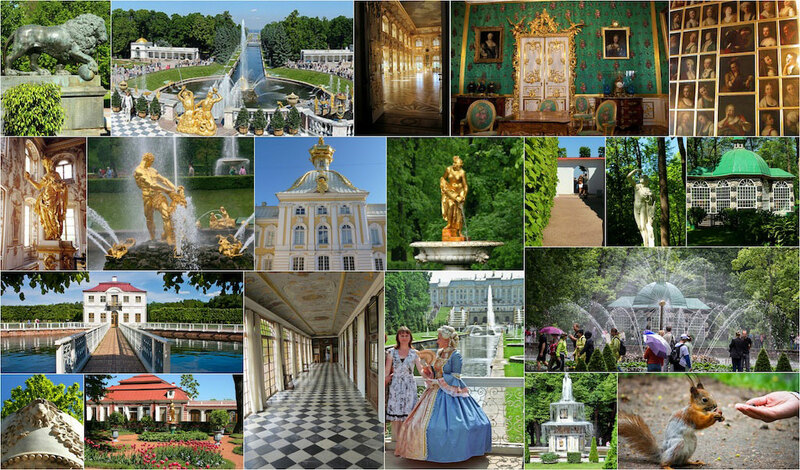 Visit the world famous Hermitage Museum and Peterhof Palace and Park with fountains. The tour ends up with dinner at Russian restaurant Vodkaroom №1, trying out Russian specialties and vodka tasting! 9:00 – Meeting your guide after a hearty breakfast, heading to the Hermitage (with a packed lunch in hand) and getting ready for a day of artistic exhilaration. Discussing on the way the parts of the collection you want to see, though we could leave some room for on-the-spot decision making – the exhibitions so enormous that you’ll inevitably discover new painters and eras you weren’t planning to see. 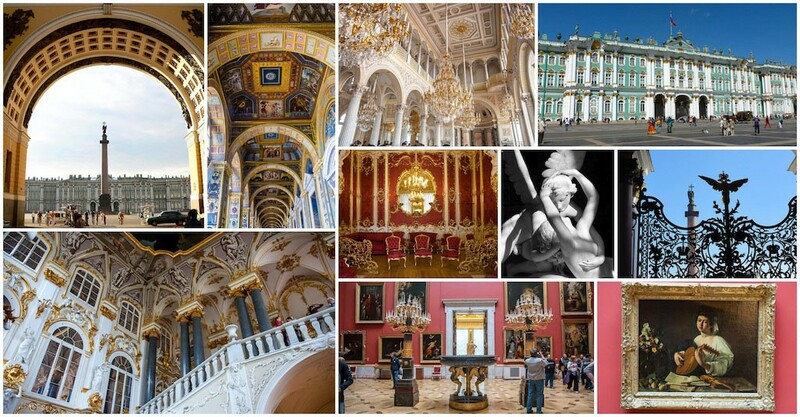 09:30 – 12:30 – Exploring Hermitage for 2,5 – 3 hours. Exloring more masterpieces! 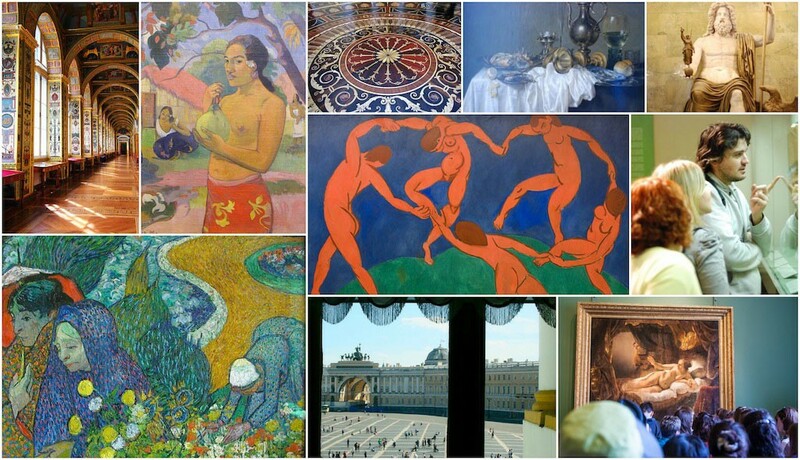 12:30 – 12:50 – Having a quick lunch at Hermitage cafe or enjoying your packed lunch. 13:00 – Jumping into the hydrofoil on the Palace embankment. 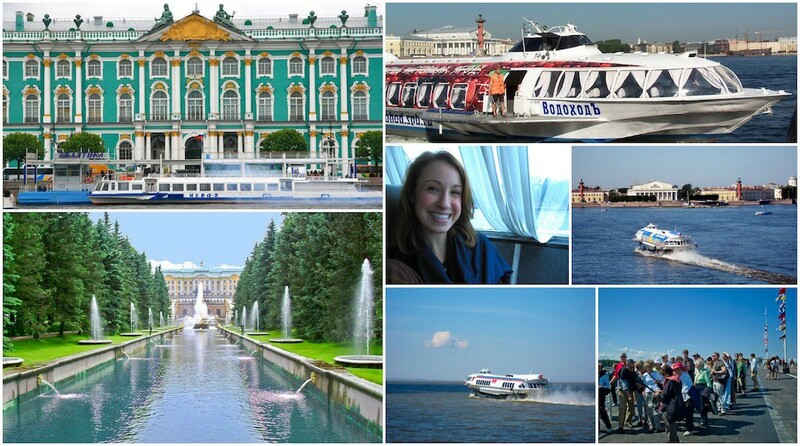 And a very comfortable rocket boat takes us right to the fabulous city of fountains Peterhof! Just 40 minutes and we are there! 14:00 – 16:30 – Visiting the Peterhof Palace, walking in a gorgeous park, enjoying fountains, feeding cute squirrels and eating ice-cream. 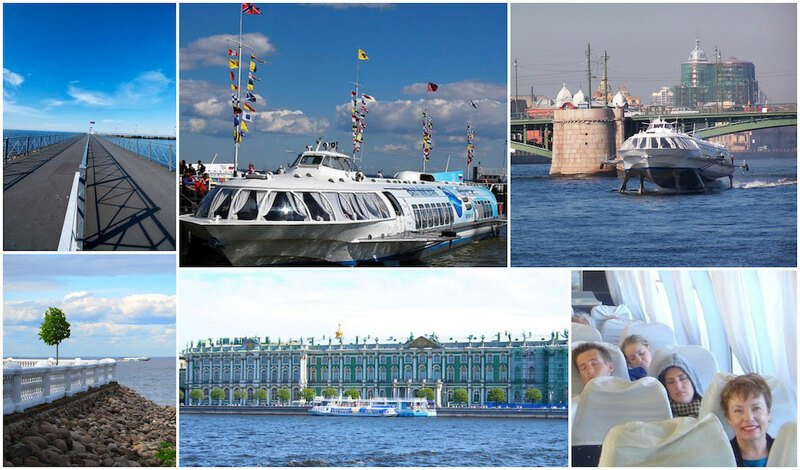 17:00 – 17:50 – Walking towards the pier taking hydrofoil back to St.Petersburg. Another 40 minutes. Some can take a little nap. 18:15 – Long desired dinner at cozy Russian restaurant Vodka Room №1. 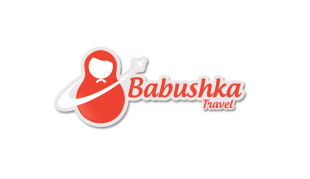 Tasting wonderful Russian pirozhki, borsch, blini with caviar, Beef Stroganoff and Vodka! By the way this is the only place where you can try 213 kinds of Russian vodka. The restaurant also houses the Museum of Russian Vodka – here you will feel the atmosphere of the XV century Moscow monastery, where the monks distilled their first alcohol, guides will tell you numerous stories about Russian vodka, drinking traditions and bread wine. The museum tour ends up with tasting some kinds of vodka with traditional Russian snacks: pickles and butterbrots with salo (salt-cured meat) and Baltic anchovy.